We think we can all agree that the third season of Rick And Morty has been well worth the protracted wait (which, in the grand scheme of fantasy novel publication, wasn’t long at all). From “The Rickshank Redemption” to last Sunday’s “The Ricklantis Mixup,” Dan Harmon and Justin Roiland’s show has grown more ambitious, absurd, and poignant. It’s hard to pick a favorite or most fucked-up moment, really, which is why Fast Company went over several of them with Harmon recently. According to Harmon, “Vindicators” served as a way to get Rick to interact with superheroes, whose self-promoted do-goodery is exactly the kind of thing that’d get under his skin, and see whether he’d become an ally or enemy (and you know the rest of the story). But before they delved into caped-crusaders territory, the writers wanted to see what Rick would do when stripped of his usual gadgetry, weaponry, and limbs. And, as anyone who saw “Pickle Rick” can attest to, cornering Rick like a rat only works out well for him. 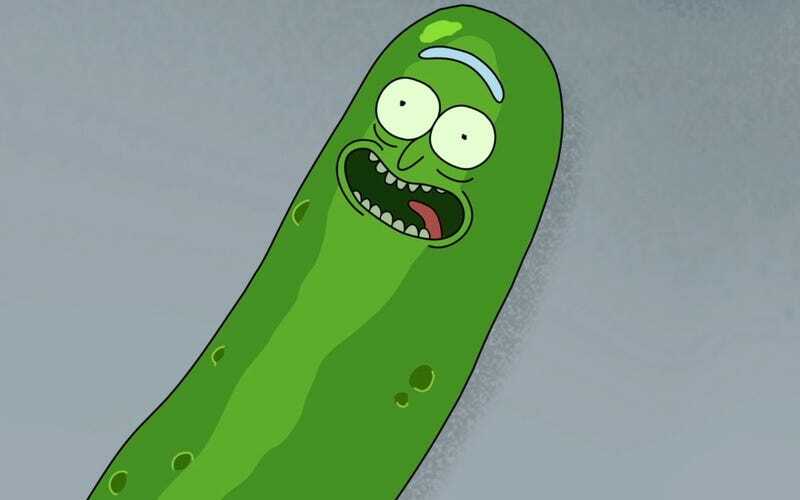 The writers wanted to see how Rick would solve the problem he made for himself (to avoid going to family counseling, he turned himself into a pickle), a desire that was inspired in part by an episode of Breaking Bad. In season two’s “4 Days Out,” Walt and Jesse find themselves stranded in the desert. The Winnebago’s battery is dead, and it looks like Walt’s getting ready to join it. Instead, he shows real flashes of ingenuity, and Harmon says he and his team wanted to put Rick in similar circumstances. I thought it was cool, the idea that Rick has all these gadgets all the time, he has these guns and vehicles and robots. He can make anything with his human hands that he wants because he’s always near a big toolbox. How smart is Rick, though? Is he so smart that with his mouth alone he could gain an advantage over biological killing machines in an environment that wasn’t built to sustain him? The rats alone put Rick’s body count much higher than Walt’s, of course, but these were equally tense and entertaining situations. But speaking of rats, Harmon says the plan called for Rick to use his “Pickle Rick technology to violently destroy hundreds and hundreds of rats in a fight scene that feels too long and then feels even longer and just when you think it feels too long, it’s even longer than that so it starts to feel like a mistake, the television is broken,” which we’re surprised didn’t work its way into the dialogue.